One of the most talked-about topics in the financial services industry today is blockchain banking. If fully adopted, it will enable banks to process payments more quickly and more accurately while reducing transaction processing costs and the requirement for exceptions. However, to capitalize on this potential, banks need to build the infrastructure required to create and operate a true global network using solutions based on this transformative technology. Our survey found that blockchain use is, indeed, top of mind among banking executives who lead payments businesses. Perhaps most critically, the survey revealed what executives believe must happen for blockchain to gain prominence globally. Thirty-two commercial banking professionals were interviewed to learn about the potential of blockchain / distributed ledger technology. Banks are definitely interested in blockchain. However, most banks we surveyed are still in the early stages of adoption, with about three-quarters either involved in a proof-of-concept, formulating their blockchain strategy, or just beginning to look into it. Regardless of progress, the most prevalent use cases banks are studying involve intra-bank cross-border transfers. Cross-border remittances, corporate payments, and inter-bank cross-border transfers are receiving comparatively less attention. 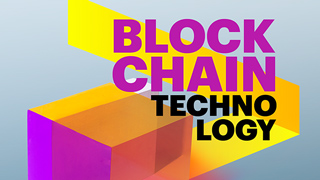 But wherever they hope to deploy blockchain, executives expect a wide range of benefits, including lower costs, quicker settlement, fewer errors and exceptions, and new revenue opportunities. Nine in 10 executives said their bank is currently exploring the use of blockchain. It should include the necessary defined rights, obligations, controls, and standards. Importantly, many executives also noted that the network should not be an exclusive club. “The network should be open to banks and non banks to create a level playing field,” said one executive at a global bank. Much work remains to define the rules of engagement and help create the basics of the network before banks can move past a discussion of the technology itself and begin exploring how to actually use it to improve their business. Regardless of who's creating and driving the network, banks roundly agree that blockchain needs a robust network for success. The network is a critical success factor in blockchain adoption, but there are others. Another important one is generating internal momentum for blockchain integration and implementation—something that half of the banks in our survey said they currently struggle to do. Security is another reason banks could be hesitant to embrace blockchain, and understandably so. Beyond these factors is something more fundamental: the need to educate key stakeholders within the organization on blockchain’s enormous potential benefits and positive impacts. Finally, executives said actually applying blockchain successfully to payments will require fostering an uncommon coordination among banks—which is vital to generating the positive network effects that make blockchain so compelling. Blockchain and distributed ledgers have a bright future. As real-time, open-source and trusted platforms that securely transmit data and value, they can help banks not only reduce the cost of processing payments, but also create new products and services that can generate important new revenue streams. The biggest key to turning blockchain’s potential into reality is a collaborative effort among banks to create the network necessary to support global payments. Banks need to look at the bigger picture and work together—and with non-banks—to help define the backbone that can underpin a universally accepted, ubiquitous global payment system that can transform how banks execute transactions.